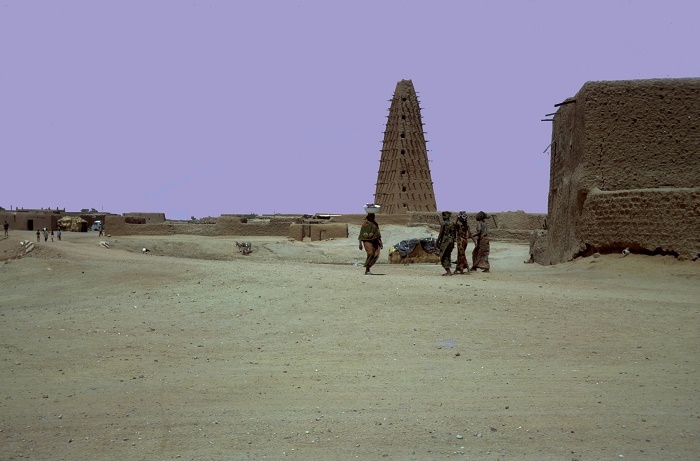 The Agadez Mosque, better known as Grande Mosquée d’Agadez, is a prominent religious center that is located in the central area of the largest city from the central part of the Republic of the Niger, Agadez. As it was originally built in 1515 during the era of the Songhai Empire, this central landmark of the city has been the gathering place for prayers for centuries. 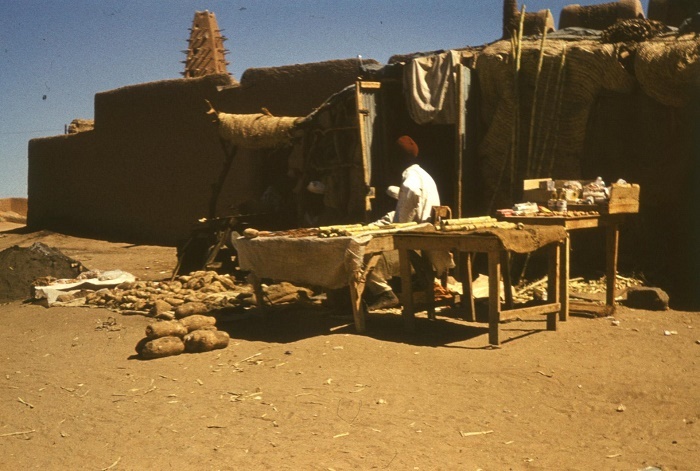 As it has some resemblance to the construction techniques which are used in the structures around Timbuktu, the Tuaregs who built it, went there in order to learn and develop even better the architectural techniques. By using simply local available material, such as: mud, straw and pebbles which were dried in the sun, the builders simply created something which was definitely supposed to last for a very long time. 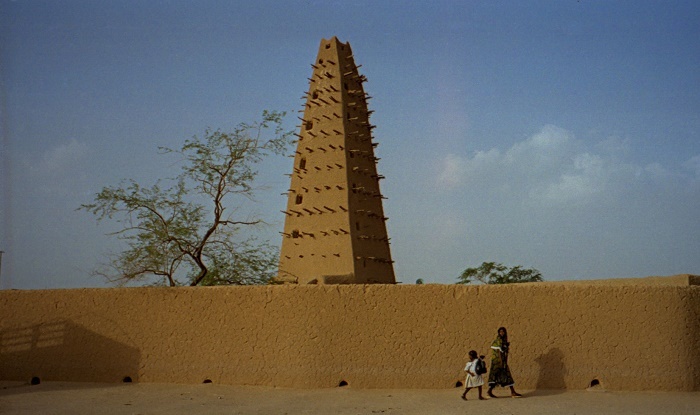 This central shrine in Agadez with the slightly crooked forms of the structure, is accompanied by a minaret which is some 27 meters (89 feet) tall, making it the tallest ever constructed in mud brick, and as a lighthouse in the center serves as a compass for the people to get around the city, which at one point of time throughout its history, served as a watchtower. 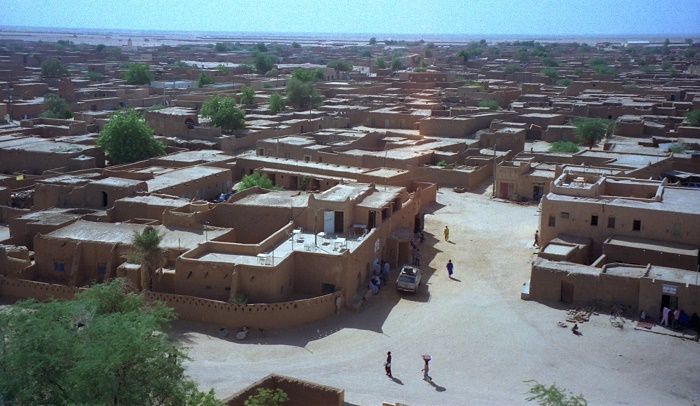 Restored and partially rebuilt in 1844, this dominating structure in Agadez is a beacon of the long running history of the city that has survived the harsh desert environment, and shall continue to invite visitors in order to be mesmerized by the beauty it shines on the strong sun.